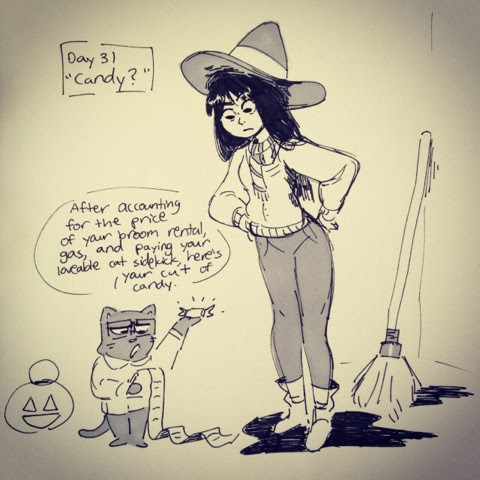 Last inktober Day 31 "Candy?" I can't believe it's over already! 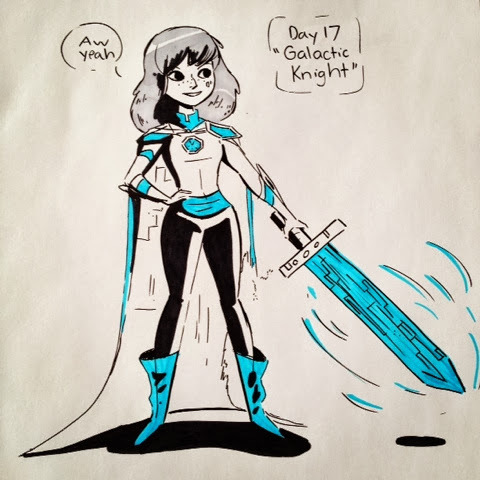 It was a fun challenge and definitely a lot more used to ink sketching now. 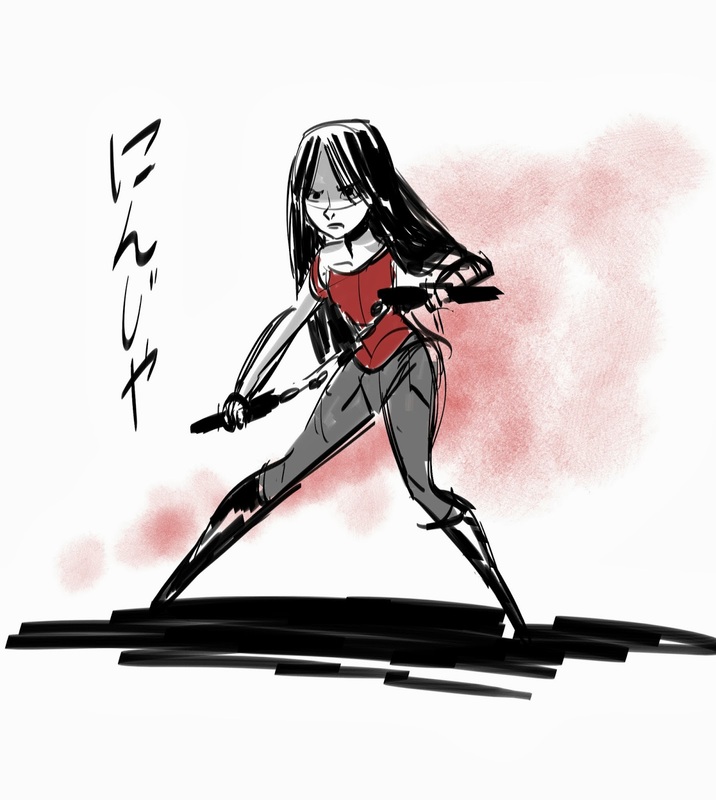 Tomorrow though I'm going to draw a lot in pencil. Enjoy! Happy Halloween y'all! Felt like drawing something quick for today. 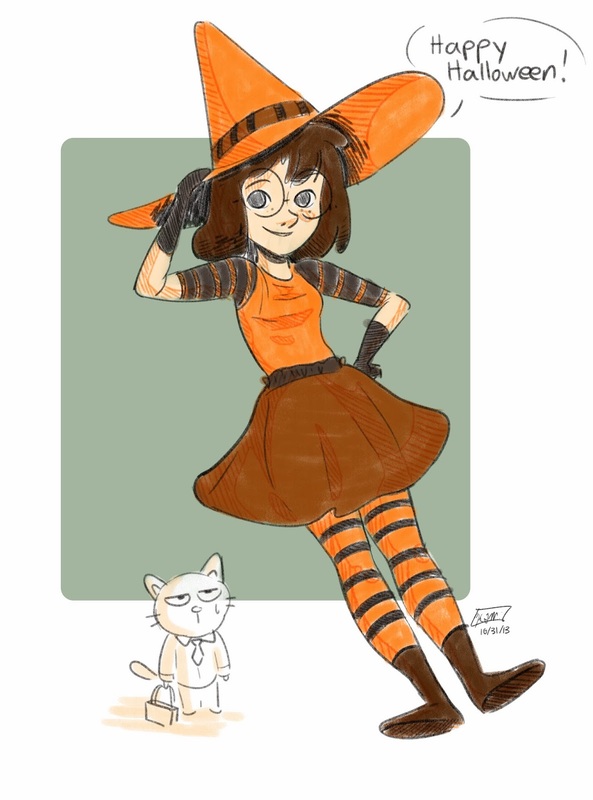 Plus this is also for last week's drawing challenge, since the color was orange. 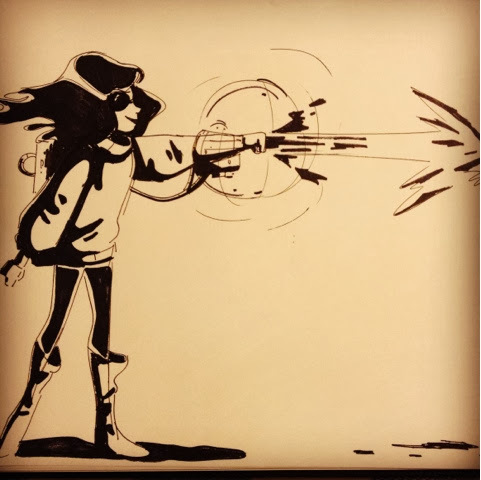 More of a modern witch sketch :) Enjoy! 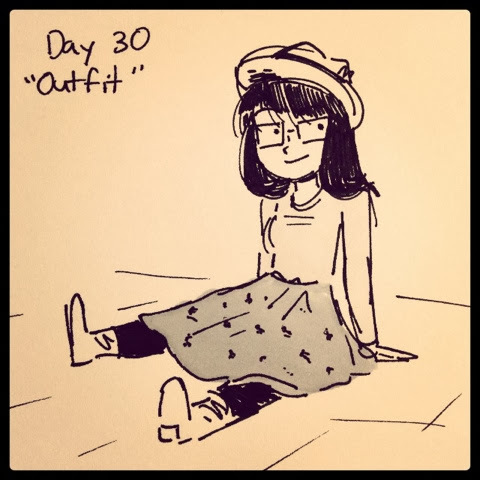 Days 29 and 30. 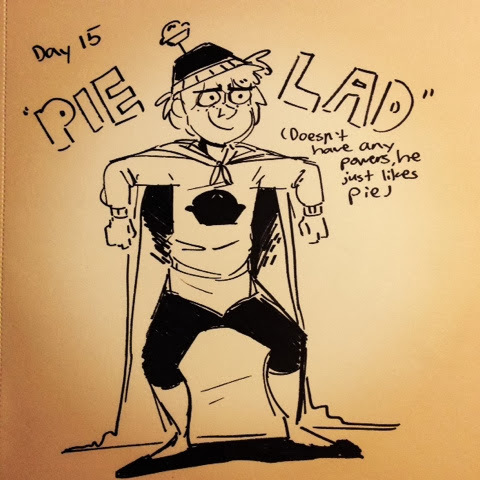 Woohoo I'm almost done with inktober! 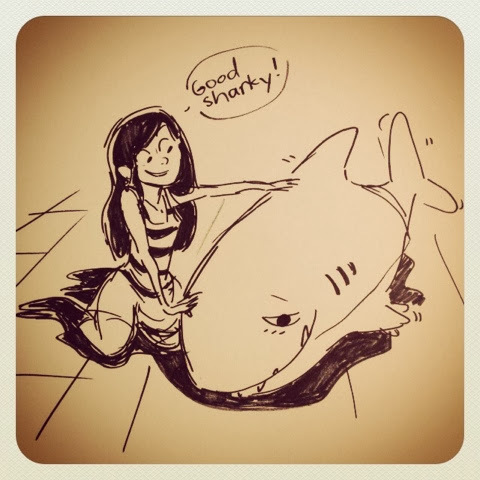 It was a fun adventure and I definitely learned a lot having to sketch in ink everyday. 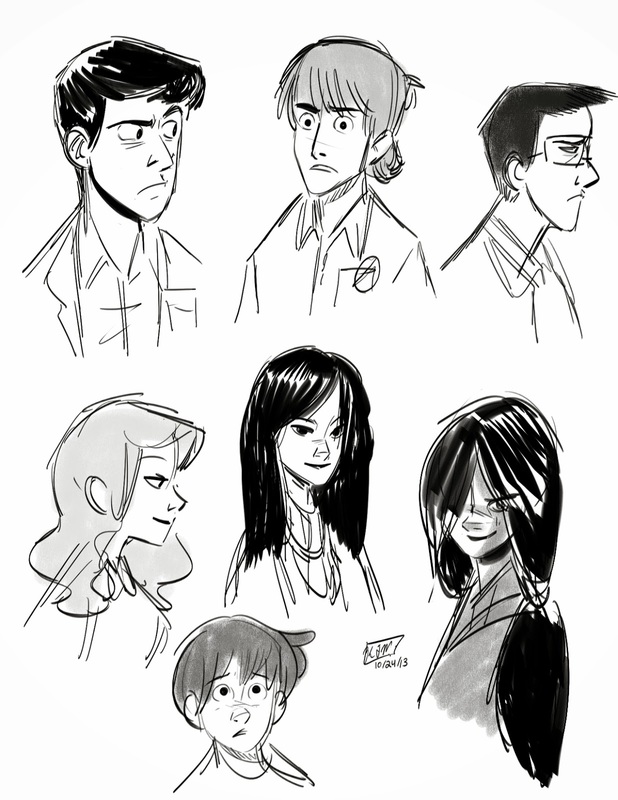 (Not gonna lie though got real lazy at the end) Anyways have some random night sketches. Enjoy! 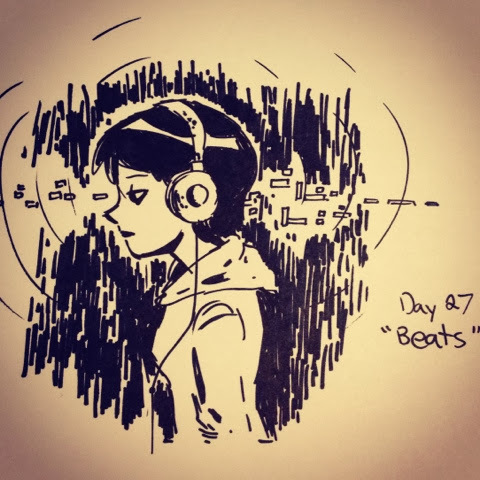 Day 27 "Beats" I was listening to Language by Porter Robinson while drawing this. Gotta love them electronic beats. 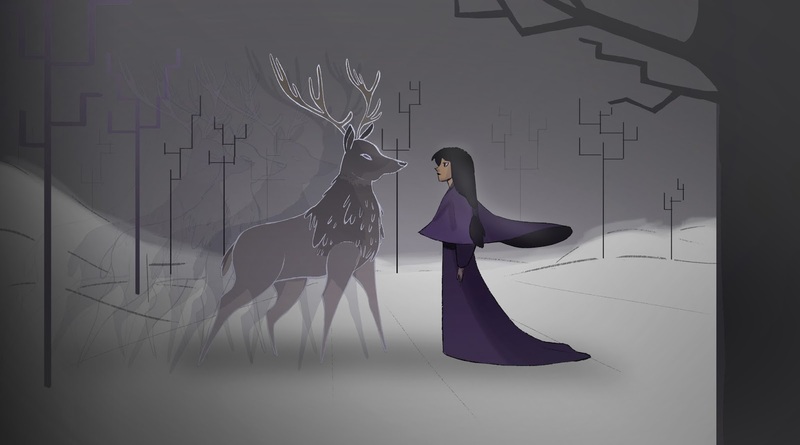 Plus the song brings back good memories for me. Enjoy! Day 26 "Faces" I wanted to continue drawing heads (well faces) today, so I decided to use my thin pen to sketch since I'm a bit sharpied out to say the least......I'm actually going to miss inktober once it ends :( it was a good challenge and I feel like I've grown as an artist and have gained more confidence in myself. Enjoy! Yup. 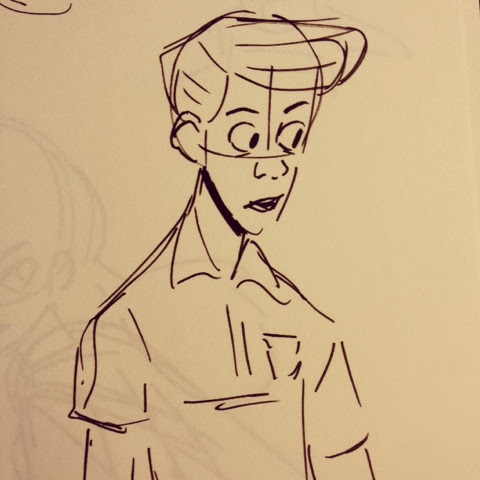 More people sketches. I wanted to test out a new brush that was like a sharpie so here they are! 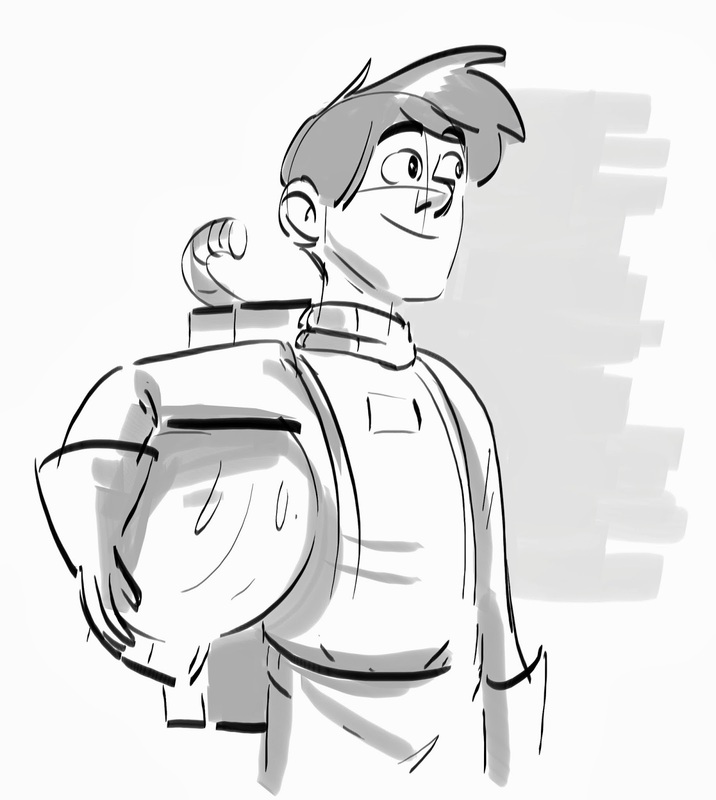 I might try doing this as a regular warm up. Enjoy! 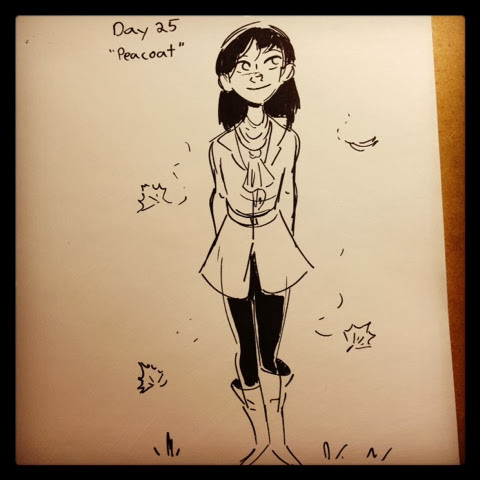 Day 25 "Peacoat" Late night inktober from today. I'm getting really close to wearing my Peacoat again. Plus my collection of scarves, especially the neon one. Enjoy! Day 23 and 24. 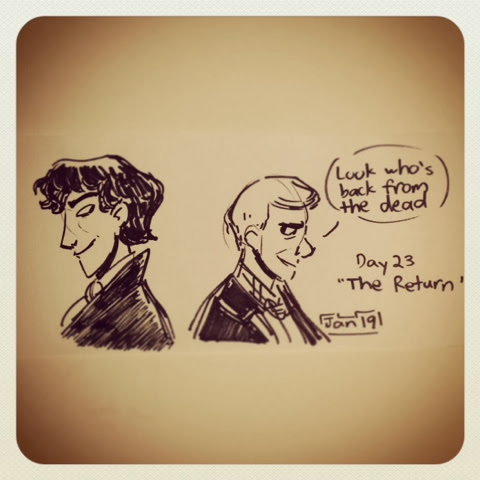 So happy my Sherlock is finally coming back! I can't contain my excitement! 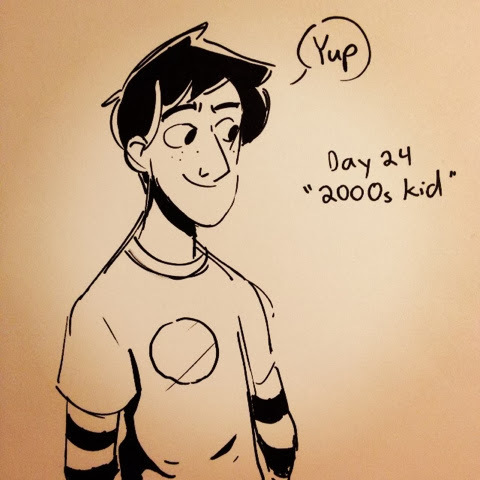 Also a random 2000s kid. Gotta love layering shirts and spiked hair. Sketches of some characters from my long forgotten webcomic, Clean Sweep. I really need to update it, and the style and story have drastically changed in the two year hiatus. 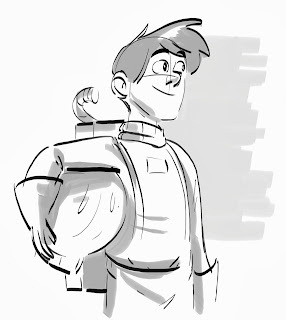 That and my character Rick is a much more involved character, and Nolan is completely changed. I also am thinking of having one part in 1800s Japan for kicks (hence the kimono girl). Enjoy! Cyberpunk girl just as the title says. I was listening to a lot of electronic and chill step tunes while drawing this. Gotta love electronic. Enjoy! 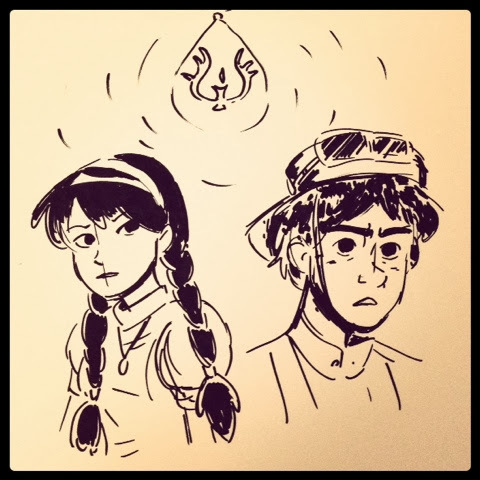 This week's drawing challenge was the color purple. 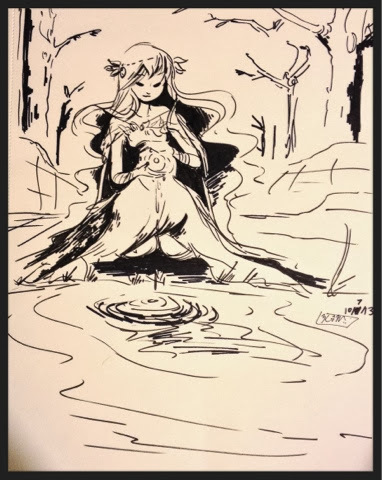 I decided to draw a girl meeting a forest spirit. This is not connected to the Earth Princess story, but I might incorporate the stag somehow. Enjoy! 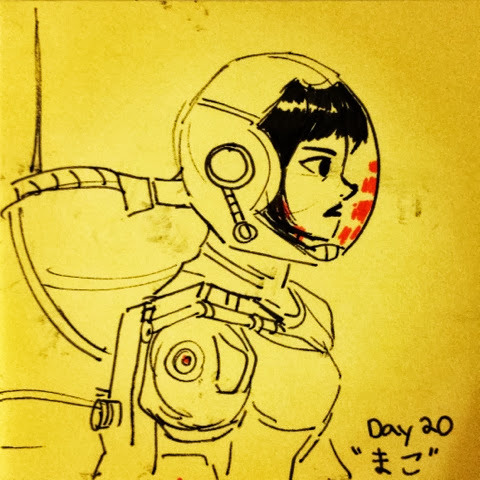 Day 22 "Pilot" Hey y'all sorry for the lack of official art updates....I need to start scanning my drawings ether than taking pics with my phone. 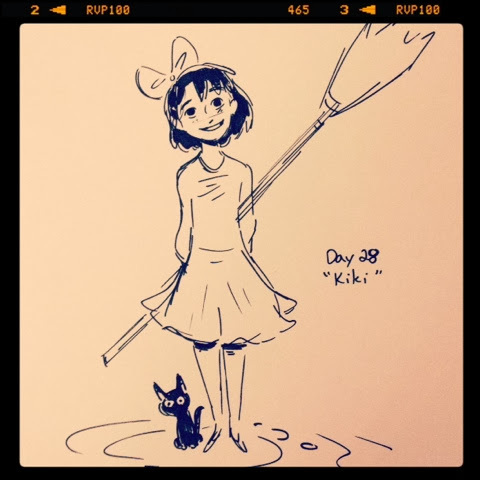 Anyways, only 9 more days of inktober! Wow it went by fast! Enjoy! 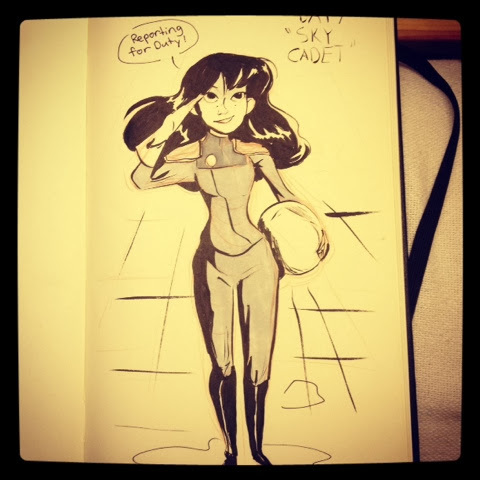 Day 21 "Alien" Hooray for sci fi stuff! 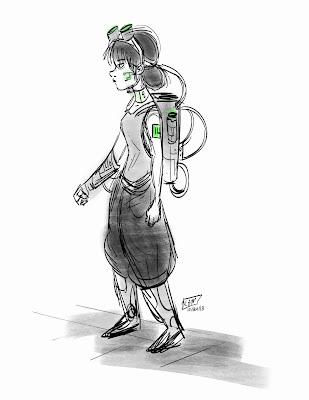 Felt like drawing more of the Mech girl, Emi for fun. Enjoy! 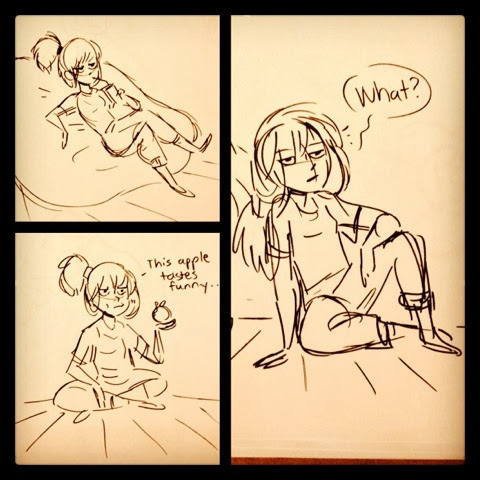 Some lazy day sketches from today. I think I'm getting over this "cold" of an art block. Gotta get some creative juices flowing again. 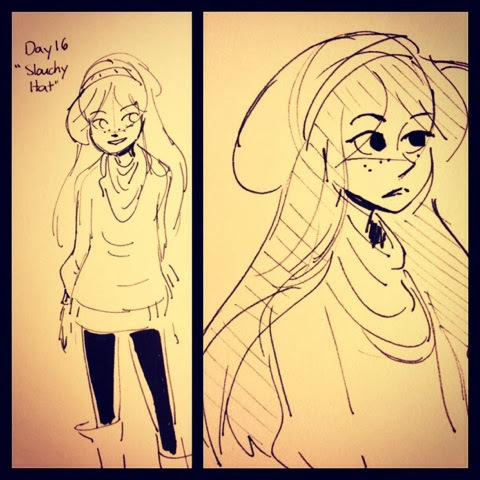 Days 15 and 16 inktober. 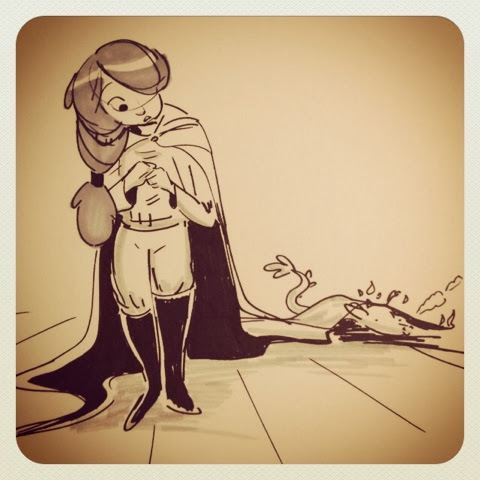 Just chugging along on the art train. Hooray! 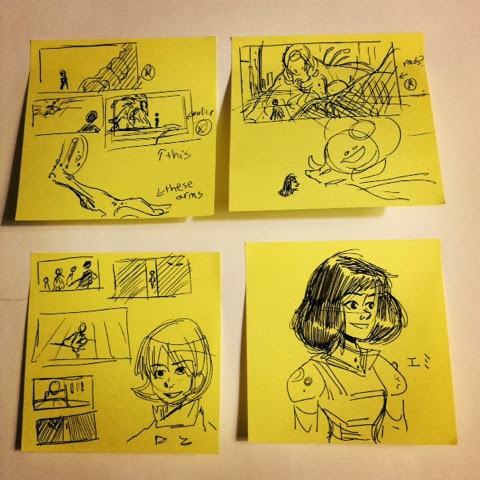 Sketches that I'm currently happy with. I'm going through a rather bad art block/stagnation and I am pushing through it. 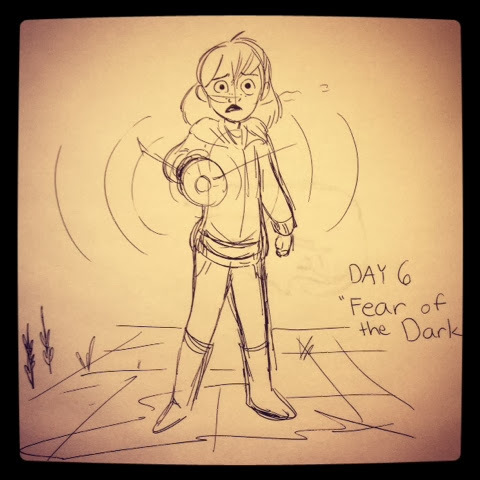 Gotta get over the feeling of being afraid to draw. 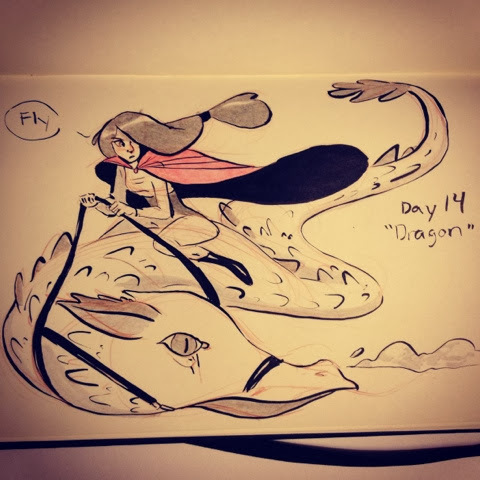 Day 14 "Dragon" :) Gotta get over this art block.....but I decided to try out a new sorta technique. 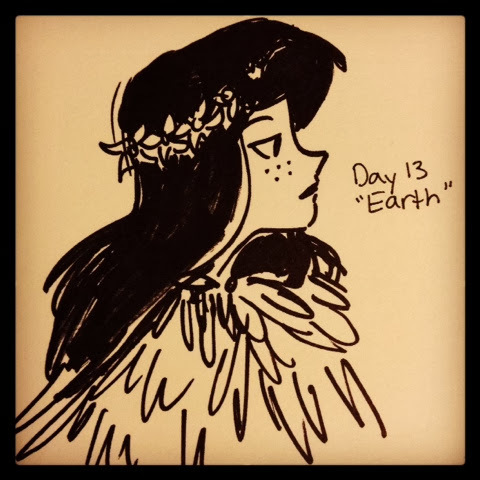 Day 13 "Earth" I'm going through a real bad art block right now, so have a sketch of my deafault Earth Princess character. 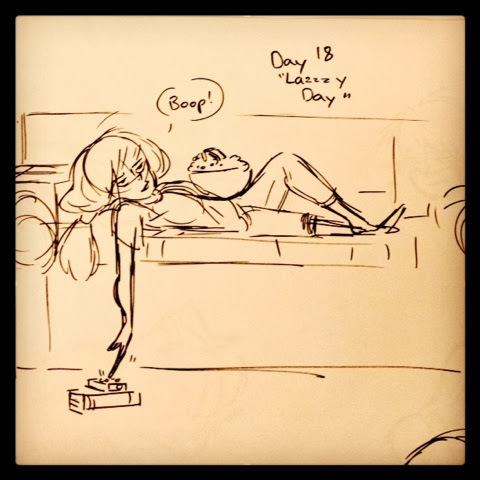 Day 12 "Fox Time!" I felt like drawin some foxes for fun. 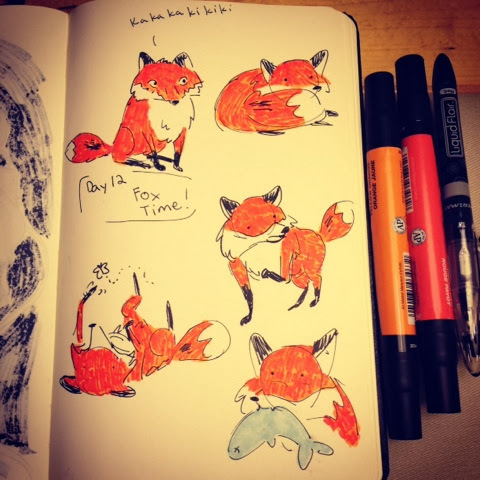 I love foxes! 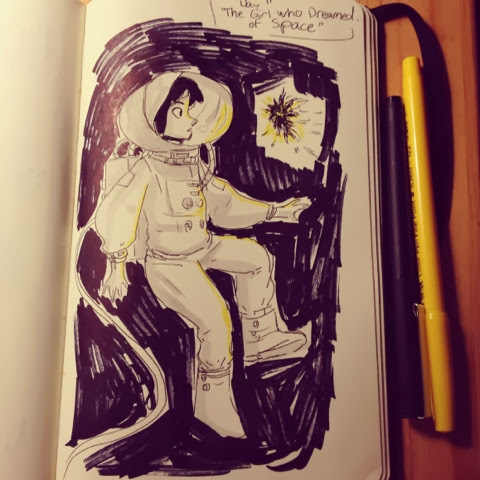 Day 11 "The Girl who Dreamed of Space" I love scifi and space related stuff. 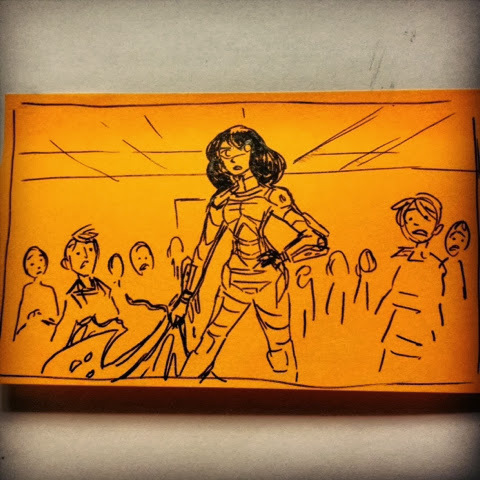 I still need to see Gravity. 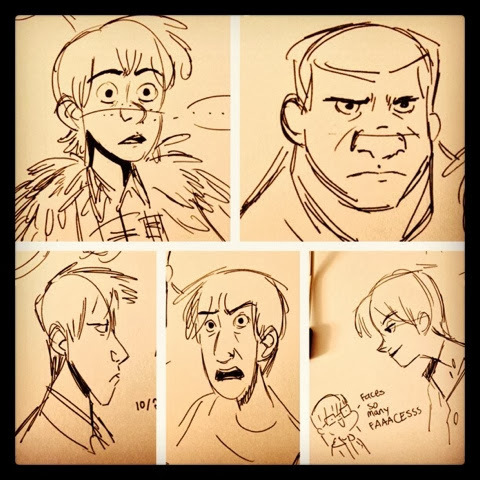 Some more random Instagram sketches. 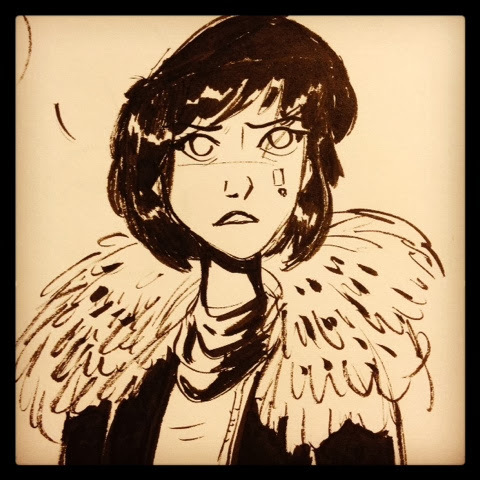 My scanner is starting to collect dust and I feel so bad, but meh. 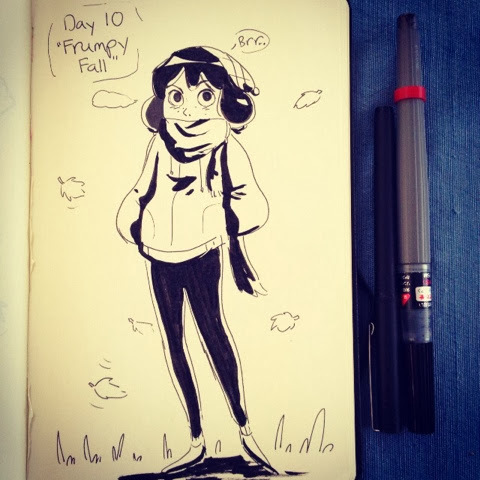 Day 10 "Frumpy Fall" for inktober. I'm always frumpily dressed when it gets cold, which is why I like spring an summer. Sometimes I forget how frumpy I dress in the fall and winter. 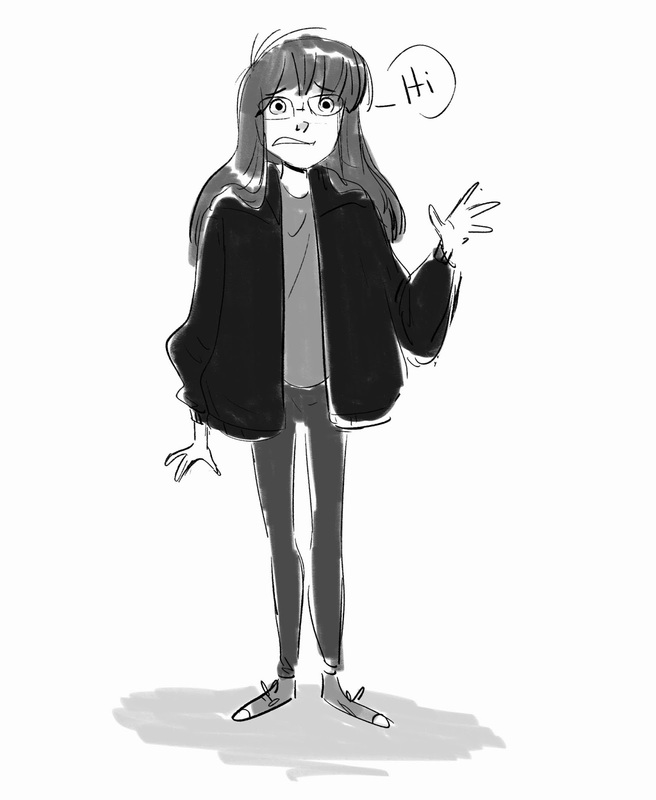 I have this one big ol jacket that is almost like a tent on me, but it's so cozy and warm! It's really the sleeves that make it look like I have an anime jacket or something. Enjoy! 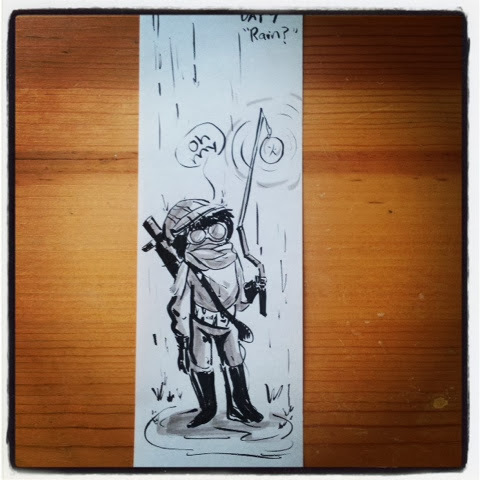 Day 9 "Rain?" They said rain would be here but I didn't hear it. 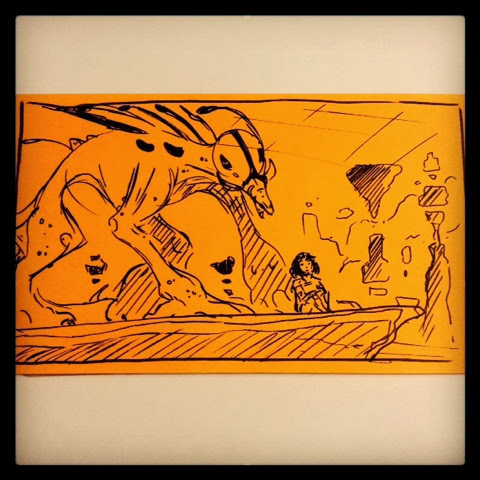 Drawing challenge sketch from this week. 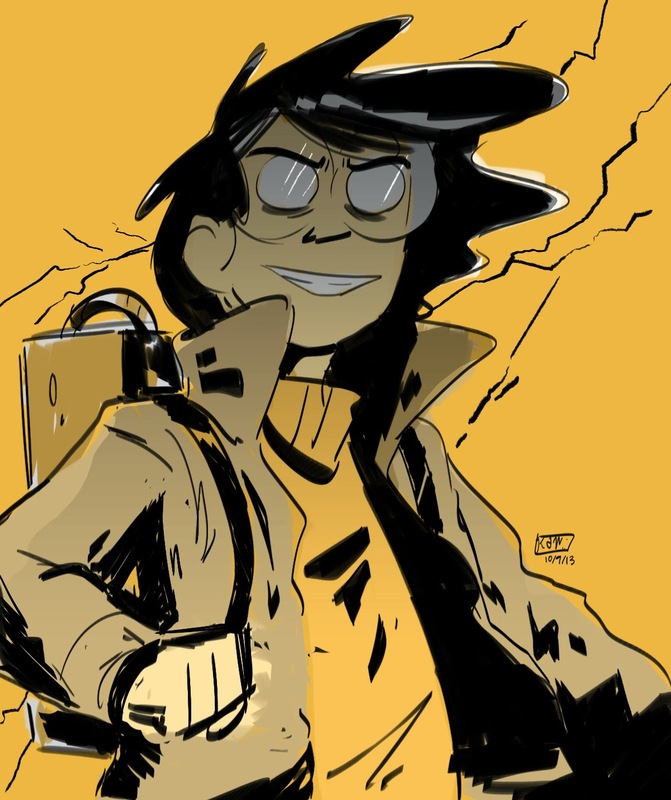 This week's color was yellow. Enjoy! 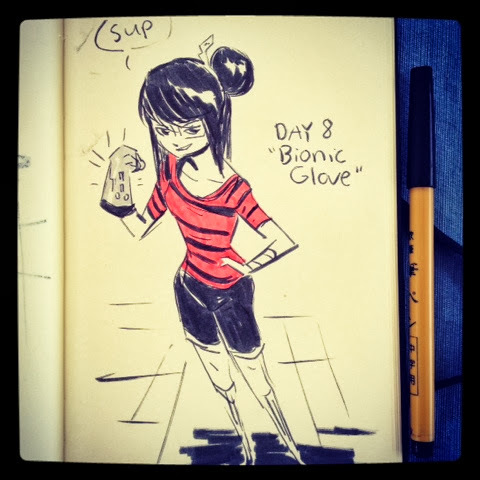 Day 8 "Bionic Glove" Just sketchin away and using some more art markers. Onwards on the road to improvement! 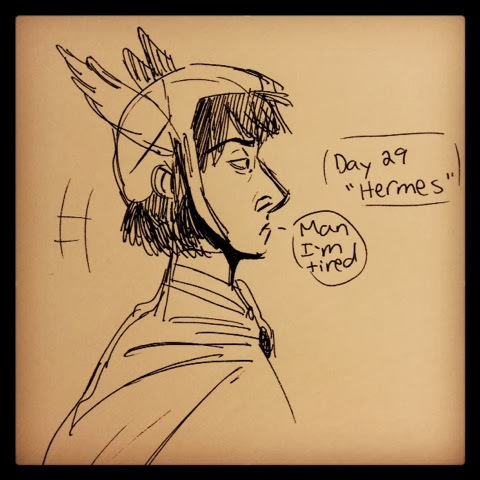 Big ol dump of inktober sketches. 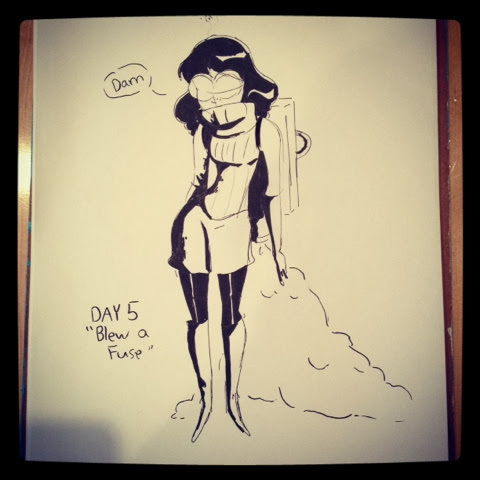 I decided not to post my day 4 one since I wasn't all that happy with it. Enjoy! 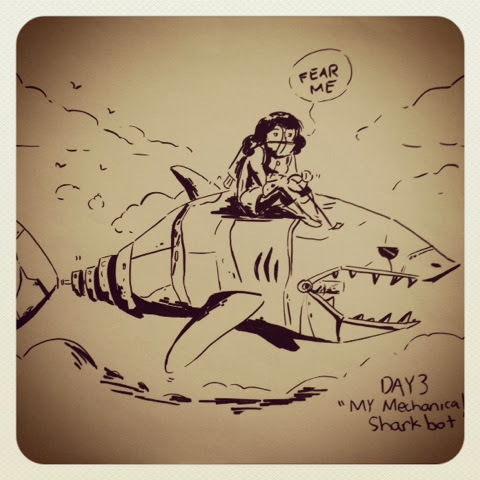 Day 03 "MY Mechanical Sharkbot" I felt like using one of my brush pens with no under drawing for today. Enjoy! 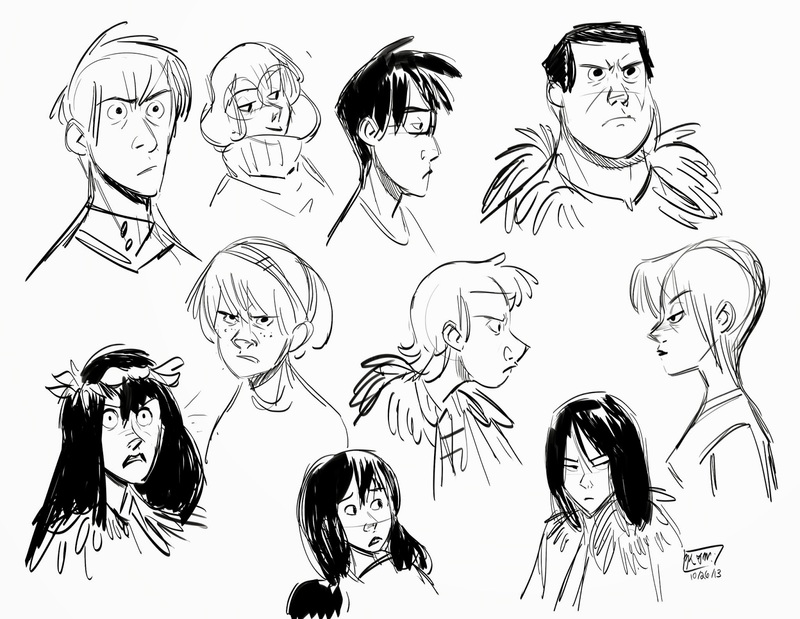 Big ol warm down sketch dump from today. 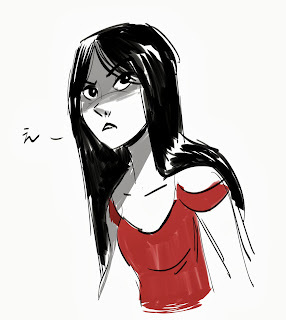 I felt like trying out a new brush that imitates marker. 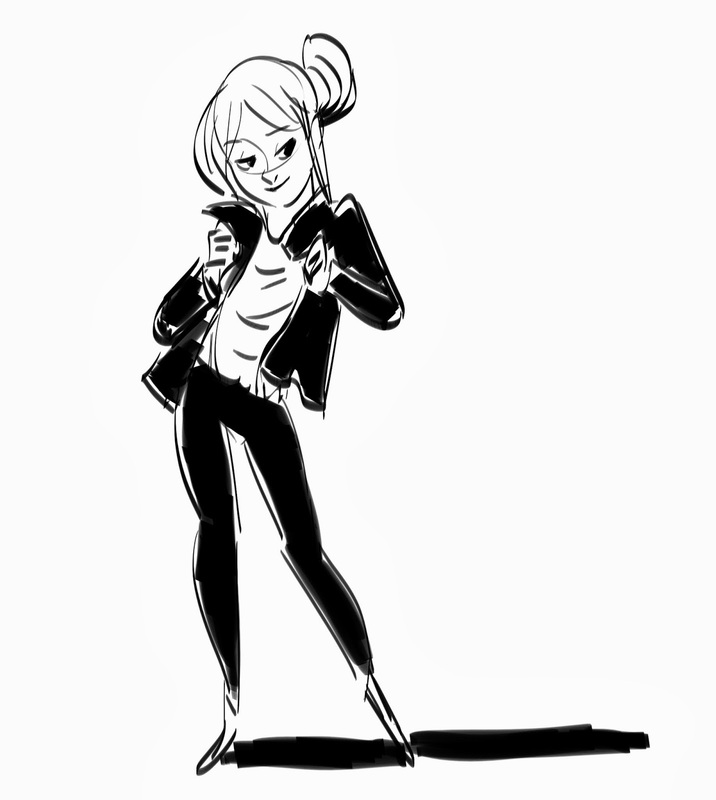 Gotta love late night drawing. Enjoy! 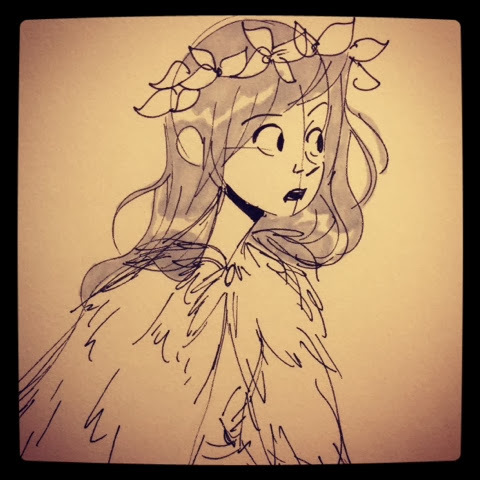 Gif and sketch from today for another drawing challenge. This week's color was red. 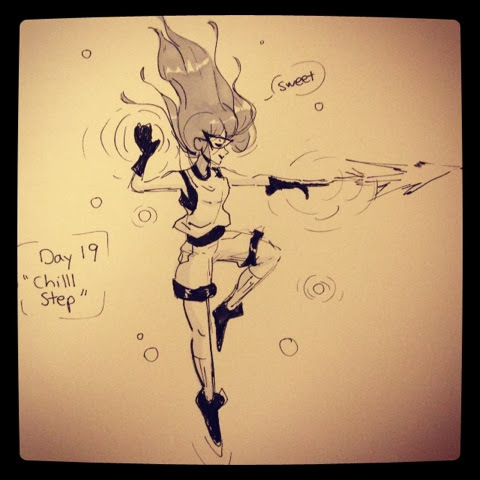 I had a lot of fun drawing this, and I decided to do dance since I like dance and it's great for gestures. Enjoy!